This week’s Friday Freebie focus is the diverse designs from Talons Aiguilles (Stilettos or High Heels in English). Embroidery, travel, children, family, hobby, everything I love … and I’d like to share with you. 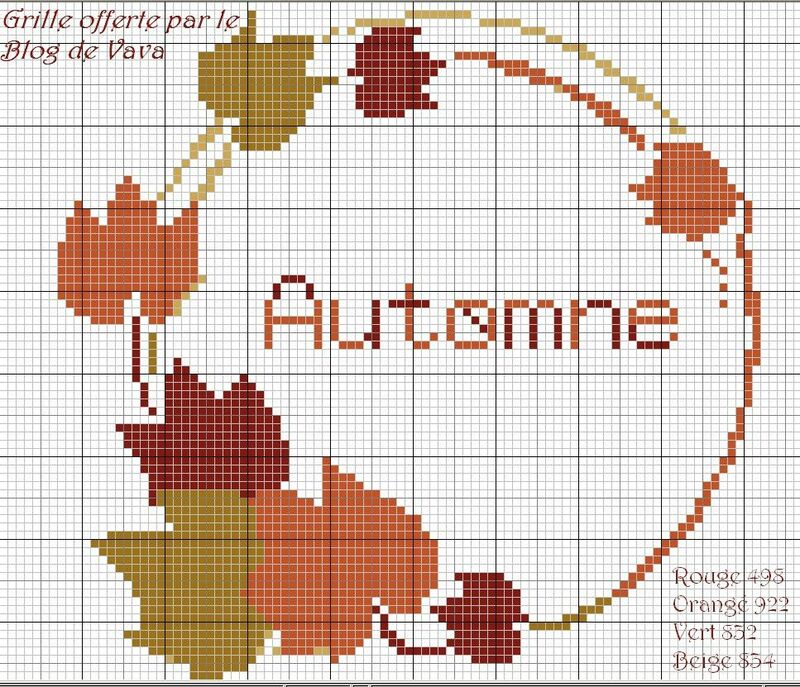 Vava of Talons Aiguilles offers a Free Design Monday (just to be different from all of us Freebie Friday groupies). She has over 300 free designs on offer so there;s sure to be something there to suit everyone. Vava is an all-round needleworker and crafter who hosts Art Trading Card (ATC) swaps and Stitchalongs (SALs). She also delights in sharing photos from people who have stitched her designs! Her blog is in French but google translate is enough for me to understand each blog post and follow along her crafting adventure. Most of the designs are simple to stitch and only need a few colours; thus are eminently suited to personalised small gifts. Change the colours, add a hand dyed fabric or embellishments and voilà a completely different project. Talons Aiguilles Monday free charts are only available via Vava’s blog. You can subscribe to be notified when a new design is released. She clearly delights in receiving these photographs. Many of the Monday posts Talons Aiguilles include a free chart and often link to other free charts in the same theme. Click on the téléchargement (Download) button underneath the image of the design you wish to save. This will show a larger version of the chart which can be saved. How to save the file is dependent up on which device you are using. On a PC, you right-click on the image and select “save image”. All of the images save as .jpg image files. Vava’s designs are very easy to read; she uses colours instead of symbols, but the colours are very easy to distinguish. In the more complex charts she lists recommended DMC floss, but otherwise you are encouraged to choose your own colours. Vava uses large grids but each design prints out to a single A4 or US Letter sized sheet of paper. Colour Cascade Fabrics has a variety of fabrics for you to make these design unique. Caitlin chose Vara’s Roses design and recommends Blue Orchid or Every Rose has a Thorn. SewandSo has a range of floss and fabrics to make any of these design uniquely yours. Crafty Kitten “I’m going to go with carnaval. I’m quite fond of masquerade type designs, I looked at it and thought aurora thread on moonlight. Or white blended with silver thread on Aurora for a completely different look. Stitches n Things has ta variety of floss and fabric for you to create your dream project. Do you like Talons Aiguilles free designs? Do you like any of the ideas the hand dyers have suggested? Do you like the hand dyers choices and suggestions?